contemporary graffiti art mixes concepts of stunning realism, fine art and abstract expressionism. His ability to translate a vibrant imagination is distinctly unique, creating characters that leave the viewer feeling nostalgic whilst delivering an intense level of humour. It is evident that the work Sled One has produced for COLLIDE is dynamic, zealous and fearless. Sled One's style, imagination and originality places him firmly in the zeitgeist as he continually pushes himself within his art and questions our expectations of form and reality. COLLIDE a solo exhibition by SLED ONE. Preview March 6th 2015. Sled One is a Bristol based artist whose style of contemporary graffiti art mixes concepts of stunning realism, fine art and abstract expressionism. 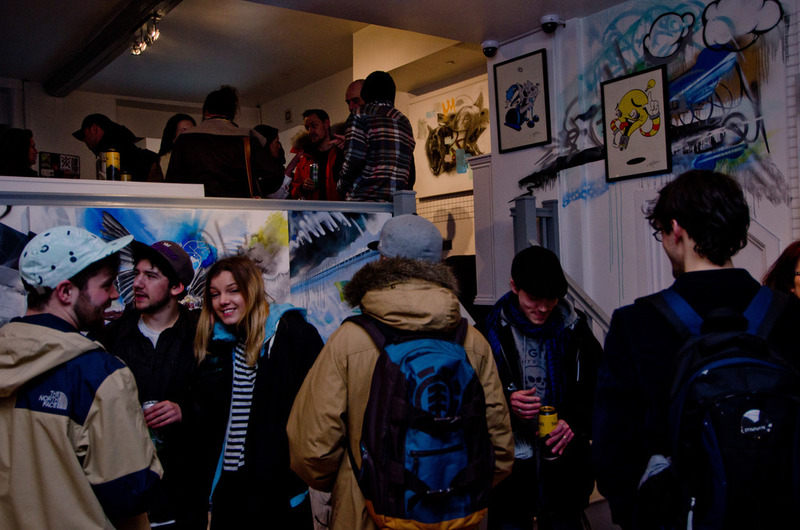 COLLIDE was Sled One's first solo exhibition and HangFire was proud to be part of this. 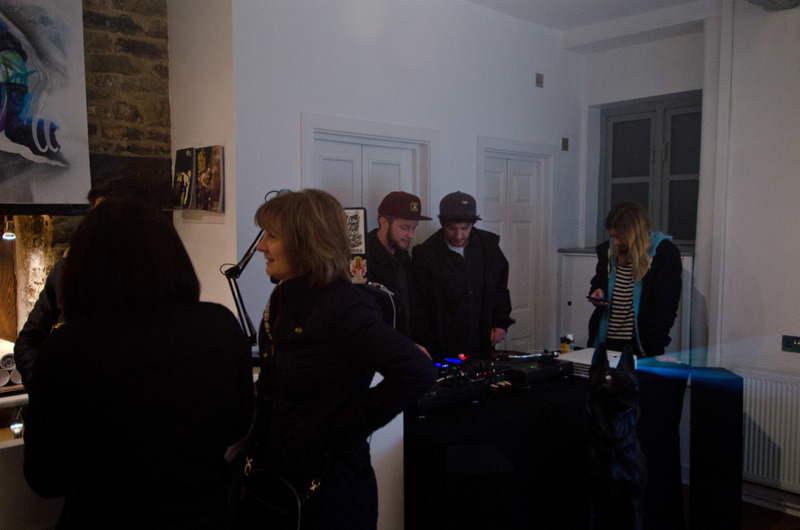 Thanks to all that visited the preview, if you didn't get chance to attend, COLLIDE continues throughout March, ending on March 30th 2015.